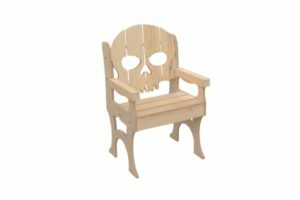 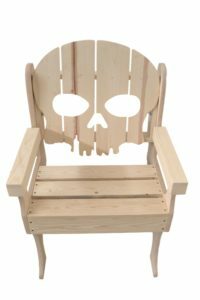 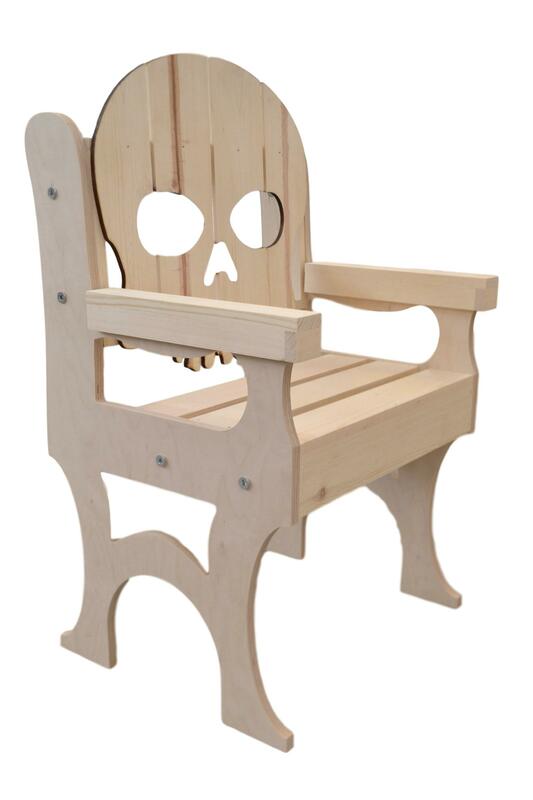 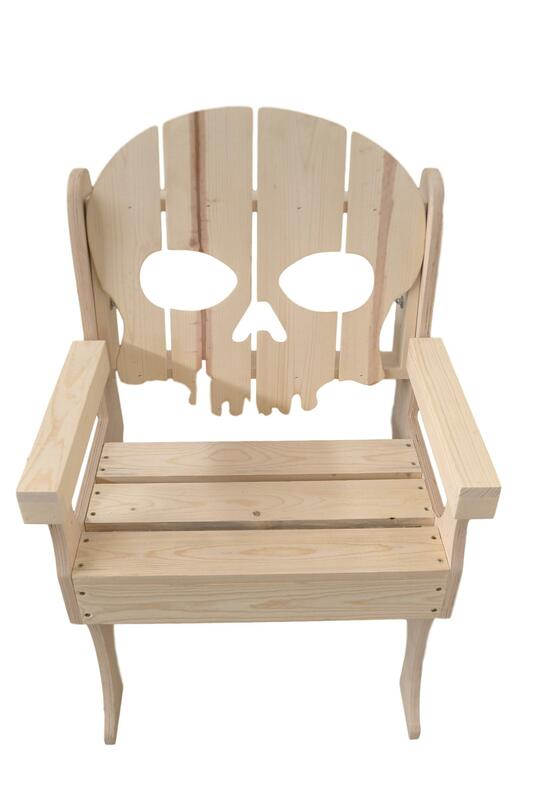 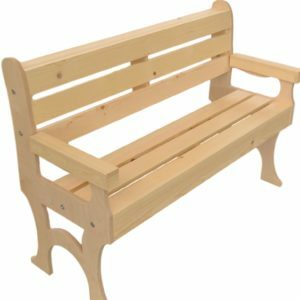 Wooden Skull Backed Chair - Poole & Sons, Inc.
We make our wooden skull backed chair from Baltic birch plywood and western pine. We fully sand the chair. 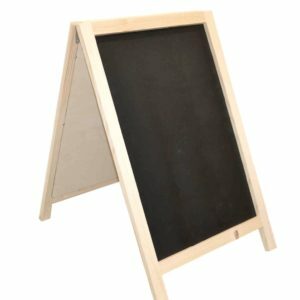 Therefore, it is ready to use or you can finish it any way you would like. 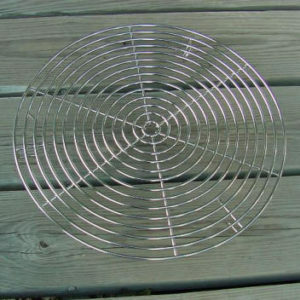 We ship it flat in four pieces to save on shipping costs. 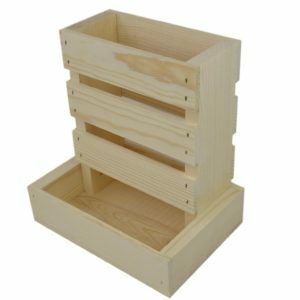 It assembles easily with the 8 included bolts. 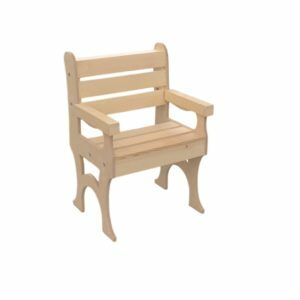 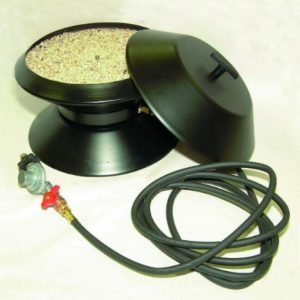 The outside dimensions when fully assembled is 23 x 20 x 39″ tall, and it is extremely comfortable.